Newest @ West Coast an integrated development in up and coming areas present an opportunity for investors looking to stay one step ahead of the game. Located in an area that's poised for transformation, NEWest blends the best of retail and residential, under one roof. This exciting property boasts 136 residential units sitting atop more than a hundred units of shop space, providing ample opportunities to grow your business. NEWest Commercial comprises 141 retail units lining beautiful boulevards and astounding avenues, this unique property in the prestigious western part of Singapore has the ideal space for your business. From the delightful eateries to electric start-ups, you will find a wide variety of commercial establishments fit in well here. 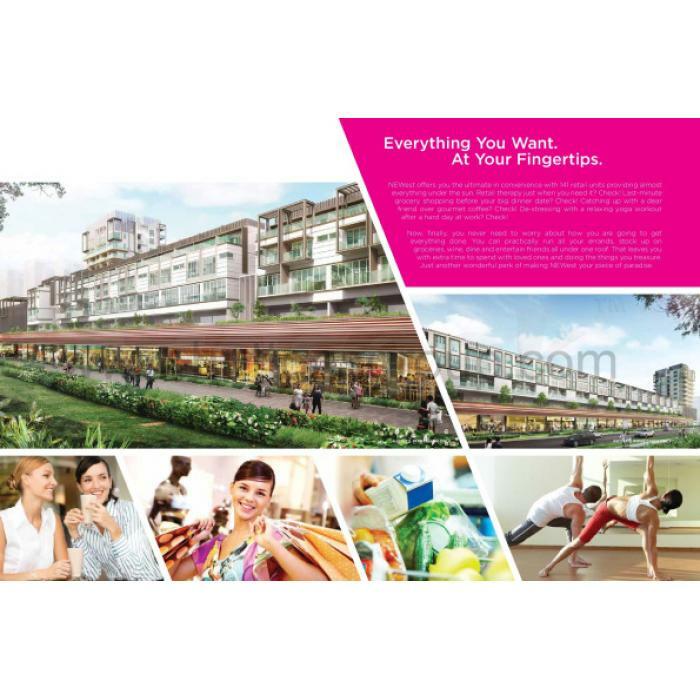 NEWest is easily accessible via Clementi MRT station approximately 10 minutes walk away. This development is also well-versed by a network of roads and expressways with Ayer Rajah Expressway (AYE) and West Coast Highway sandwiching it and the Pan Island Expressway (PIE) nearby. With easy access and residential units within. NEWest is sure to provide a large amount of traffic for your business to prosper. Comfortable interiors invite shoppes to savour the diverse array of products and services on offer at NEWest. From spas, studios, wineries and cafes to education centres, fashion shops and gourmet marts, businesses that cater to both singles and families are welcome with open arms. The retail space at NEWest is flexible and can easily be moulded to the specifications of your liking. Set up shop fronts that welcome a steady stream of ready customers and merge adjacent units to form larger shop spaces that grow together with your business can go. In a environment that is perfect for you to prosper.